Since Jeremy Corbyn was elected leader of the Labour Party in September 2015, Emily Thornberry has been one of his key allies. After serving as the shadow secretary of state for defence and shadow secretary of state for exiting the European Union, Thornberry has been shadow foreign secretary since June 2016. The Islington South and Finsbury MP has proven to be an effective politician, gaining plaudits for her performance at the dispatch box standing in for Corbyn at Prime Minister’s Questions and for ambushing Tory minister Michael Fallon on The Andrew Marr Show about the time he attended a reception with Bashar al-Assad to celebrate the Syrian president winning an election. However, though they have largely been ignored by Labour supporters and left-wing commentators, Thornberry’s comments last year about Israel are very concerning. A December speech she gave at the Labour Friends of Israel annual dinner “could have been written by a pro-Israel lobbyist,” argued Asa Winstanley from Electronic Intifada. Her statement that it was Israeli “pioneers … who made the deserts bloom” repeated one of the founding and “racist myth[s]” of Israel, Winstanley went on to note. In contrast, in 2005, US dissident Noam Chomsky called Peres “an iconic mass murderer,” presumably for his role in the ethnic cleansing of Palestinians that led to the creation of Israel and for being head of government when Israel shelled a United Nations compound in Lebanon in 1996, killing over 100 civilians. After conducting an investigation, Amnesty International concluded the attack was intentional. In both speeches Thornberry highlighted the denial of rights to Palestinians in the occupied territories, which makes her statement about Israel being “a beacon of freedom, equality and democracy” all the more laughable. “The everyday lives of Palestinians [in the West Bank] is controlled by the IOF [Israeli Occupation Forces]. And it is done brutally,” Hawari noted. “Movement is rigidly controlled, access to resources is denied and Israeli military incursions into villages and towns are frequent. Israel is a “settler colonial state that flouts international law on a daily basis by oppressing the Palestinians in varying states of occupation,” Hawari concluded. Thornberry’s remarks aren’t that surprising if you consider her political career. Until Corbyn won the Labour leadership, her politics and voting record fit comfortably with the more liberal, often interventionist, section of the British Establishment. She was, as the New Statesman reported in 2016, “one of [Ed] Miliband’s inner circle.” As shadow attorney general, she voted for Britain’s disastrous military intervention in Libya in 2011 and, in 2014, for Britain to conduct air strikes on Isis in Iraq. Turning to domestic politics, she abstained on the 2013 vote about the coalition government’s Workfare programme, the scheme in which people on Jobseeker’s Allowance are forced to carry out unpaid work in order to keep receiving their benefits. And she abstained again on the 2015 vote for the Welfare Bill, which leaked government figures showed would push 40,000 more children below the poverty line. As Tony Benn used to say, politicians can be divided into two categories, signposts and weathercocks. “Not only is that new in Britain, I think it’s new internationally,” the teaching fellow in international relations at Royal Holloway, University of London, explained in a Media Democracy podcast. At the same time, writing in June 2017, British historian Mark Curtis noted that, although Labour’s general election manifesto made “several clear breaks from current UK foreign policy,” there was also evidence that, “if the manifesto is implemented in its current form, it is likely to still promote extremism in UK foreign policy” (Curtis considers much of Britain’s bipartisan post-1945 foreign policy to be extreme). Curtis highlights pledges to “support development and innovation” in the defence industry and maintain the Tories’ 2 per cent military spending commitment, along with half-hearted statements on the so-called “special relationship” with the US, international development and Israel-Palestine. There is, then, a battle over the nature of Labour’s foreign policy — not least over Trident nuclear weapons — within the Parliamentary Labour Party, of course, but also within the shadow cabinet and probably within Corbyn’s core circle itself. This ongoing struggle probably provides the context behind the Guardian’s recent feature-length interview with Thornberry, with the liberal organ taking the unusual step of advertising the interview over a week before it appeared in the newspaper. Why? As the interviewer noted, Thornberry is “widely tipped to be the party’s next leader,” but after Corbyn led Labour’s extraordinary general election campaign, direct assaults on his leadership, like the attempted coup in 2016, are no longer viable. The Guardian’s promotion of Thornberry may well herald a switch to a subtler, longer-term strategy that looks ahead to the next Labour leadership contest. After all, Jezza isn’t getting any younger. Thornberry is the perfect candidate for Guardian “centrist” types who would like to neuter Corbynism — someone who can gain the backing of significant numbers of Corbyn supporters while at the same time diluting the movement’s relative radicalism by returning the Labour Party to safer, Establishment-friendly ground. With all this in mind, it is important that all those who want to see an anti-imperialist, humane and sane British foreign policy raise their voices against Thornberry when she glosses over Israel’s abysmal human rights record and tacks too closely to the Establishment line. The basic tenets of Labour’s foreign policy need to be argued about, settled and publicised right now, rather than being fought over in office under intense pressure from the media, military and opposing political parties. Remaining silent — perhaps in the belief that criticising Thornberry will weaken Corbyn — is surely short-term politicking that will only increase the chances of Corbyn’s Labour Party disappointing if it gains power. This entry was posted in UK Domestic Politics, UK Foreign Policy, US Foreign Policy and tagged David Wearing, Emily Thornberry, Guardian, Iraq, Israel, Jeremy Corbyn, Labour Party, Mark Curtis, Noam Chomsky, Welfare Bill, Workfare on January 11, 2018 by ianjs2014. Is Owen Jones right that Jeremy Corbyn has the same policies as Ed Miliband? This is a bold claim made by a very influential left-wing commentator. Therefore it is worth seriously considering the claim. With this in mind, I sketch out some key policy differences between Corbyn and Miliband below. On the economy, Jones argues though “the Labour leadership now says it’s anti-austerity”, the fiscal rule accepted by Shadow Chancellor John McDonnell means his economic policy is similar to that of ex-Shadow Chancellor Ed Balls, “including a focus on deficit reduction”. James Meadway, the head of policy for Corbyn’s leadership campaign and former chief economist at the New Economics Foundation, notes Jones “is wrong to claim that John McDonnell is offering Ed Balls’ fiscal policy. He is absolutely not. He is opposed to cuts.” During the 2015 general election campaign Ed Balls “offered up cuts”, Corbyn explained to Jones before Jones wrote his blog. “To be clear, Labour is now an anti-austerity party opposed to the rundown and break-up of our public services”, notes Meadway. Miliband’s Labour stated it “support[s] the principles behind the negotiations on the Transatlantic Trade and Investment Partnership Treaty (TTIP)”, though was concerned about a number of issues including “the impact on public services and the Investor to State Dispute Settlement Mechanism”. Miliband’s Labour pledged to “ensure the NHS is protected from the TTIP treaty.” Commenting on Miliband’s position, The Guardian’s Political Correspondent Rowena Mason noted TTIP is “a key issue for many voters on the left” and “it does not look like this will satisfy those who view TTIP as a deal for big corporations and want it to be abandoned entirely.” Corbyn opposes TTIP outright. Jones argues Labour under Corbyn “would reverse NHS privatisation: again, Labour at the last election committed to repealing the Health and Social Care Act and regretted the extent of NHS private sector involvement under New Labour.” However, though Labour’s 2015 election manifesto promised to repeal the Coalition Government’s NHS privatisation plans, it also saw a role for existing private firms in the NHS because it pledged to cap profits of private firms on NHS contracts. The manifesto had nothing to say about the hospitals built under the Private Finance Initiative policy instituted by Tony Blair’s Government. Earlier this month Corbyn confirmed a Labour Government led by him would cancel PFI contracts. Jones doesn’t mention any education policies. Miliband promised to reduce university tuition fees to £6,000 per year. The 2015 Labour manifesto did not mention the Education Maintenance Allowance (EMA) scrapped by the Coalition Government. Corbyn has promised to abolish tuition fees completely, reintroduce student maintenance grants and reinstate the EMA. Jones says Corbyn’s plans to renationalise the railways “beefs up Labour’s pledge under Miliband’s leadership.” In actual fact the 2015 Labour manifesto only promised to “reform our transport system in order to provide more public control and put the public interest first.” If all this seems a little vague that’s because it is: “We will review the franchising process as a priority to put in place a new system… a new National Rail body will oversee and plan for the railways and give rail users a greater say in how trains operate. We will legislate so that a public sector operator is allowed to take on lines and challenge the private train operating companies on a level playing field.” This is not renationalisation. Jones doesn’t mention the Royal Mail. Miliband’s Labour promised to “safeguard the public interest in the [now privatised] Royal Mail, supporting the creation of a staff-led trust for the employee share, and keeping the remaining 30 per cent in public ownership.” In contrast, Corbyn proposes to renationalise the Royal Mail. Jones doesn’t mention welfare policy. Corbyn explained to Jones before his blog was published that Miliband’s Labour used “appalling language on the DWP [Department for Work and Pensions], on welfare systems”. Corbyn is presumably referring to comments made by Rachel Reeves, the shadow work and pensions secretary under Miliband, about how “We are not the party of people on benefits. We don’t want to be seen, and we’re not, the party to represent those who are out of work… Labour are a party of working people, formed for and by working people.” When she was first appointed by Miliband in 2013, Reeves said Labour would be tougher than the Tories on benefits. Similarly, a briefing from Labour’s welfare spokesman under Miliband led to the Daily Mail headline ‘Now Ed Miliband gets tough with onslaught against “evil” of benefits scroungers’. Corbyn voted against the Welfare Bill in July 2015 and is strongly opposed to benefits cuts. Jones doesn’t mention anything to do with immigration. During the 2015 General Election campaign Labour produced their UKIP-pandering ‘controls on immigration’ mugs, while Reeves announced Labour would extend the period for which EU migrants are prevented from claiming out-of-work benefits from three months to two years. “The plans take Labour further than proposals so far announced by the Conservatives,” The Guardian noted at the time. Corbyn has long been a defender of migrant rights. Jones doesn’t mention Trident. Labour under Miliband supported the renewal of the Trident nuclear weapons system. Corbyn opposes the UK owning or using Weapons of Mass Destruction and is attempting to change Labour Party policy on this. Jones asserts “Corbyn opposed the Iraq war; so did Miliband. The Labour leadership’s policy was to vote against the bombing of Syria, as it was under Miliband.” This is a particularly disingenuous argument from Jones. First, because he chooses to omit several significant foreign policy votes and positions – the 2011 NATO intervention in Libya, the 2014 vote on the UK bombing Islamic State in Iraq and the British occupation of Afghanistan. All were supported by Miliband and opposed by Corbyn. 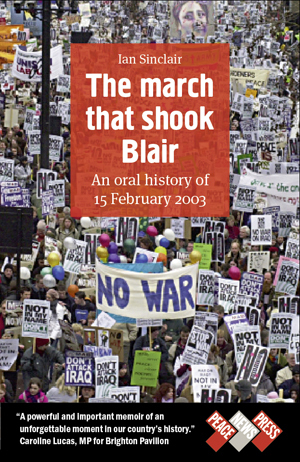 In contrast, Corbyn was a key figure in the anti-war movement, speaking at hundreds of anti-war meetings and rallies. On the Syria vote, the parliamentary record shows the Labour motion tabled by Miliband was very similar to the defeated Government motion, a fact that did not go unnoticed by the more experienced foreign affairs experts in the Commons. “I can find no difference of substance or principle anywhere in the two offerings”, explained Sir Menzies Campbell, the former Foreign Affairs spokesperson for the Liberal Democrats. Likewise, ex-Foreign Secretary Malcolm Rifkind noted “virtually all” of Labour’s list of requirements for supporting military action “appear in the Government’s own motion.” In addition, Miliband stated that he would support military action against Syria without a United Nations Security Council Resolution – essentially agreeing with the Government again. After considering the information above, one can only argue Corbyn’s policies are the same as the austerity-lite policies of Labour under Miliband if one chooses to ignore large swathes of policy areas or is ignorant of Corbyn’s and Miliband’s actual policy positions. That the analysis of Jones – a huge and influential left-wing voice in the mainstream media – is so pitiful and shallow is extremely concerning, and very damning, indeed. This entry was posted in UK Domestic Politics, UK Foreign Policy, Welfare and tagged Afghanistan, Austerity, Ed Miliband, Iraq, James Meadway, Jeremy Corbyn, John McDonnell, Labour Party, Libya, Owen Jones, Syria, Trident, Welfare Bill on August 29, 2016 by ianjs2014. Labour leadership contender Owen Smith MP has stated he is “going to be just as radical” as Jeremy Corbyn. “Jeremy has been right about so many things”, Smith argued at the launch of his campaign. This pitch to Labour voters has been taken up by the Saving Labour group hoping to dispose Corbyn, with its supporters telling members of the public “there is no real difference… between Owen Smith and Jeremy”. Is this true? How does this framing of the leadership contest fit with Smith’s actual political record? Asked about the controversial Private Finance Initiative (PFI) schemes introduced by the Blair Government, Smith responded: “We’ve had PFI in Wales, we’ve had a hospital built down in Baglan through PFI. If PFI works, then let’s do it.” In the same interview Smith sings the praises of New Labour’s introduction of academy schools, which was strongly opposed by the teaching unions. “I’m not someone, frankly, who gets terribly wound up about some of the ideological nuances”, noted Smith. In July 2015 Smith abstained on the Government’s Welfare Bill, which the government’s own figures confirmed would push 330,000 children from low-income families further into poverty, with single mothers and ethnic minorities hit particularly hard. Now running for the Labour leadership, Smith told the BBC’s Andrew Marr his vote was a mistake that he now regretted. How sincerely he believes this is brought into question by his appearance on BBC Newsnight in September 2016 when he confirmed his support for the £26,000 benefit cap, saying “We are in favour of an overall reduction in the amount of money we spend on benefits in this country and we are in favour of limits on what individual families can draw down.” In March 2015 the Guardian reported the UK Supreme Court had “found that the effect of the policy [the benefit cap] was not compatible with the government’s obligations under the UN convention on the rights of the child”. Earlier this month Smith voted to renew the UK’s Trident nuclear weapons. Asked by Marr if he was prepared to “annihilate possibly millions of people” by firing Trident, Smith replied that “You’ve got to be prepared to say yes to that.” But wasn’t he once a member of the Campaign for Nuclear Disarmament, asked Marr? When did he realise he was wrong? “About 15 years ago”, Smith replied. This doesn’t fit with a June 2006 Daily Mail report, which noted “Yesterday Owen Smith… came out in opposition to the Trident nuclear deterrent”. As this suggests, even if he did oppose the war in 2003 Smith continues to repeat the delusional framing of the pro-war camp. For example, introducing the topic of Iraq in his campaign launch speech, Smith referred to the UK as “a country that has traditionally, patriotically intervened around the world to help impose and understand our values across the globe.” And again he tried to ride Corbyn’s coattails, noting “Iraq was a terrible mistake. Jeremy has been right about that.” The problem for Smith is this isn’t what Corbyn or the mainstream anti-war movement argue. Let me explain: if I slip on a banana skin – that’s a mistake. If I spill coffee down my shirt – that’s a mistake. If I spend months planning an illegal and aggressive invasion of another country that leads to the deaths of over 500,000 men, women and children and over four million refugees, then that’s a crime, and a massive one at that, as Corbyn implicitly suggested in his response to the publication of the Chilcot Report. Corbyn, of course, also opposed the 2011 Libyan war – just one of the 2 percent of MPs who did. Smith supported the military intervention which steamrolled over peace initiatives being made by the African Union, enabled ethnic cleansing and the levelling of the city of Sirte, destabilised the country and region, increased the number of terrorist groups operating in Libya and exacerbated the refugee crisis. Big Pharma lobbyist? Radical? New Labourite? Socialist? Blairite? Corbynista without Corbyn? Who, exactly, is Owen Smith? Looking at his record of following the prevailing political winds, it seems Owen Smith will be whoever he needs to be for political gain. *Buzzfeed journalist James Ball recently criticised a Twitter meme based on a similar article I wrote for Open Democracy titled ‘Who Is Angela Eagle?’. Comparing the selected points my article highlights about Eagle’s voting record with her overall voting record, Ball argued “can prove what you like with being selective with voting records”. As I explained to Ball, my article about Eagle – and this article – is about highlighting political differences between the challenger and Corbyn on key issues that may be of interest to Labour voters and the broader general public. It is not a complete record of Smith’s political career, obviously. I would hope readers don’t need me to tell them that Smith is not a moustache-twirling, Disney villain and has, I’m sure, made many positive contributions in his political career. This entry was posted in UK Domestic Politics, UK Foreign Policy, Welfare and tagged Angela Eagle, Iraq, James Ball, Jeremy Corbyn, Labour Party, Lisa Nandy, Owen Jones, Owen Smith, Trident, Welfare Bill on August 5, 2016 by ianjs2014. Interviewed a couple of days ago by Sky News about Jeremy Corbyn’s position as Labour leader, the increasingly impressive journalist Paul Mason explained that corporate-friendly Labour MPs will trigger a leadership election and choose “the leftist person they can” to stand against Corbyn. It turns out this candidate will likely be former Shadow Business Secretary Angela Eagle, who ITV News reported will challenge Corbyn for the leadership. It is likely that Eagle will be the sole candidate to stand, as the anti-Corbyn section of the Parliamentary Labour Party understand they cannot dilute the non-Corbyn vote like they did in the 2015 Labour leadership campaign. In the upcoming leadership contest, Eagle and her supporters will no doubt claim she represents Labour members, and poor and vulnerable people. However, as Noam Chomsky wisely noted “It is wise to attend to deeds, not rhetoric” because “deeds commonly tell a different story”. According to the They Work For You website she has “generally voted for a stricter asylum system”. According to the They Work For You website in January and March 2004 she “voted in favour of university tuition fees increasing from £1125 per year to up to £3000 per year”. She supported the introduction of ID cards. In 2006 she supported the Blair Government’s plan to detain terrorism suspects for up to 90 days without charge. In March 2013 she abstained on the vote about the Coalition Government’s Workfare programme, the scheme in which people on Jobseekers Allowance are forced to carry out unpaid work in order to keep receiving their benefits. In July 2015 she abstained on the vote for the Welfare Bill, which proposed to cut tax credits, reduce the benefit cap to £20,000 (£23,000 in London) and called for £12bn more cuts. According to the government’s own figures, over 300,000 poor children will be pushed further into poverty, with 40,000 more children sinking below the poverty line, as a result of the benefit cap. Child Poverty Action Group noted “the majority of households affected by the benefit cap are lone-parent households and the main victims are children”. She supports the expansion of Heathrow Airport. In March 2003 she voted for the illegal and aggressive invasion of Iraq, which led to the deaths of approximately 500,000 people, according to the latest survey. According to the They Work For You website she has “consistently voted against an investigation into the Iraq war”. She supports the retention of Trident nuclear weapons. In September 2014 she voted in favour of air strikes on Islamic State in Iraq. In December 2015 she voted in favour of air strikes on Islamic State in Syria. This entry was posted in UK Domestic Politics and tagged Angela Eagle, Iraq, Jeremy Corbyn, Labour Party, Noam Chomsky, Paul Mason, Trident, Welfare Bill on July 11, 2016 by ianjs2014. Stella Creasy. Labour MP for Walthamstow since 2010. She’s brilliant, isn’t she? In March 2013 Creasy abstained on the vote about the Coalition Government’s Workfare programme, the scheme in which people on Jobseekers Allowance are forced to carry out unpaid work in order to keep receiving their benefits. In July 2015 Creasy abstained on the vote for the Welfare Bill, which will cut tax credits, reduce the benefit cap to £20,000 (£23,000 in London) and called for £12bn more cuts. According to a leaked government memo, 40,000 more children will sink below the poverty line as a result of the benefit cap. Child Poverty Action Group noted “the majority of households affected by the benefit cap are lone-parent households and the main victims are children”. In March 2011 Creasy voted in favour of NATO intervention in Libya, a chief cause of the ongoing violent chaos in the country which has destabilised surrounding nations, empowered extremists and played a central role in the refugee crisis. In January 2015 Creasy voted to renew the UK’s Trident nuclear weapons system. Creasy, according to the Guardian, was one of a group of Labour MPs who “grew exasperated by [Ed] Miliband’s leadership and quietly identified [Blairite candidate Liz] Kendall… as having leadership potential”. Creasy backed Blairite candidate David Miliband in the 2010 Labour leadership race. What these inconvenient facts show is Creasy is very clearly on the right of the Labour Party – a Blairite, basically – when it comes to many domestic and international political questions. She has failed to oppose Tory Government policies that will push more children and poor women into poverty, she has supported a highly interventionist foreign policy that will likely led to more violence and civilian deaths, and she has supported the most right-wing leaders in Labour leadership contests. Is Creasy’s positive image among many people who identify as “Left-wing” simply down to ignorance of her actual politics? Have they been fooled by her benign sounding official title of “Labour & Co-operative MP”? She is certainly a good communicator and comes across as a genuinely sincere, human person. Perhaps this has blinded people to the reality of her voting record? I wonder too if Creasy’s popularity is down to what Owen Jones describes in his book Chavs as the Left’s “shift away from class politics towards identity politics over the last 30 years.” In support of his argument Jones cites a search conducted of the academic resource MLA International Bibliography from 1991 to 2000. “There were 13,820 results for ‘women’, 4,539 for ‘gender’, 1,862 for ‘race’, 710 for ‘postcolonial’ – and just 136 for ‘working class’.” I suspect for many of Creasy’s supporters Feminism is their primary concern – and Creasy has certainly done great, essential work on defending women’s rights. But are people confusing Creasy’s Feminist activist with a wider radical outlook, when the two do not necessarily go together – and certainly don’t with Creasy. To be clear, this is not just about Creasy but the propensity of a certain section of liberal and leftist opinion to be taken in by slick PR, meaningless platitudes, impressive rhetoric and media hype – see Barack Obama circa 2008, Tony Blair in 1997, 2010 Nick Clegg and Hilary Benn’s Syria speech earlier this month. It seems to me that meaningful progressive change in society will only come when we bypass this kind of media-driven wishful thinking and will be built upon an accurate understanding of the political reality we wish to change. And the unfortunate truth is Stella Creasy has some very ugly politics indeed. This entry was posted in Feminism, UK Domestic Politics, UK Foreign Policy, Uncategorized, Welfare and tagged Class, Guardian, Labour Party, Libya, Obama, Stella Creasy, Syria, Trident, Welfare Bill, Workfare on December 22, 2015 by ianjs2014.